At Del Sole Cavanaugh Stroyd, LLC, your civil and commercial litigation boutique in Pennsylvania, West Virginia and nationally, our battle-tested trial attorneys consistently — and successfully — protect client rights when disputes must be resolved before judge and jury. We have the award-winning team of dedicated trial lawyers who stand with you, start to finish, and use our knowledge to put a significant legal crisis behind you. During our decades of combined experience, we estimate that we have recovered approximately 60 million dollars in damages, settlements and victories for plaintiffs in state and federal courtrooms. The firm's varied menu of practice areas include diligent representation for energy and logistics companies, partnership and shareholder disputes, civil litigants such as accident personal injury victims, and principals in false claims and whistleblower cases. Our commitment to achieving justice for you, and to a tradition of personal service that stresses maximum availability for your concerns, has never been stronger than it is today. We stand ready to provide you with information regarding your rights, options and trial strategies. We welcome the opportunity to advocate for your commercial litigation goals, beginning with your initial consultation at our Pittsburgh law offices. 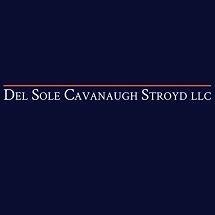 Please contact Del Sole Cavanaugh Stroyd, LLC, by phone or email message. Del Sole, Hon. Joseph A.